Organizations across every sector and of every size and complexity are being told that blockchain technology will revolutionize their business – both for better (by reducing costs/transaction times or increasing security) and for worse (by disrupting or even extinguishing entire business lines that can be replaced by this new technology). In August 2016, the advisory firm Gartner suggested that blockchain technologies had reached "the peak of inflated expectations" in its respected Hype Cycle for emerging technologies. At the same time, blockchain implementations are now being used to conduct everyday business and are delivering promised efficiencies. The great strength of blockchain technology is its flexibility and adaptability to a range of business uses. However, this flexibility also presents a significant challenge to any organization wanting to implement the technology for the first time. There are other challenges – not least, how to integrate blockchain ledgers into existing systems and manage data transfer between those systems in compliance with law and regulation. This article, which highlights legal and regulatory considerations, is the second of a two-part series on blockchain technology (see previous MCC article from our November issue that focused on use cases for blockchain technology). It covers issues to consider in five legal areas and central legal issues relevant to the adoption of blockchain technologies in nine jurisdictions around the world. The precise legal issues that arise on any implementation of blockchain technology will vary, depending on the sector, product and use case. A manufacturer using blockchain to track third-party components incorporated into its products will have a particular focus on product liability issues, whereas a bank using blockchain to process customer payments will be highly focused on consumer regulation and data security. However, most blockchain implementations require consideration of issues in five key legal areas. We set these out below together with some of the critical considerations in each category. The ability to attach and transfer the ownership and value of real-world assets using a blockchain is a further challenge to traditional legal concepts in some countries – for example, some European countries require certain transaction documents to be notarized before becoming effective – where changes in law may be necessary for the technologies to become fully effective. There are also more fundamental legal questions that will need to be addressed by treaties, national legislation and/or courts – including what is the correct categorization of an asset that exists only on a blockchain (such as a bitcoin), given that there is no obvious way of taking physical possession of that asset unless and until it is transferred into a fiat currency. It seems likely that a number of these issues initially will come up in the context of tax/revenue cases, such as the Hedqvist case before the Court of Justice of the European Union. These questions are complex and set out below is an overview of the approach to blockchain technologies in key countries that are focusing on developing legal infrastructure to support them. Overview: The highly fragmented regulatory system in the United States, which involves both federal and state legislation and regulation, administered by a broad array of specialized governmental agencies, has produced varying levels of engagement with blockchain technology and often disparate regulatory responses. As a result, the United States regulatory landscape has created substantial uncertainty for businesses seeking to employ novel applications of blockchain technology. The result is a poorly defined yet complex framework marked by stringent regulatory requirements lacking specificity as to their application to blockchain technology. Initial engagement on both a state and federal level largely has focused on virtual currency, rather than broader applications of blockchain technology. As a result, the regulation by U.S. banking regulators of currency transmission is more advanced than other applications of blockchain technology – although, here too, U.S. decentralized regulation has resulted in a complicated state-by-state licensing process in addition to compliance with guidance from federal agencies, such as FinCEN (The Financial Crimes Enforcement Network). Outside of currency transmission regulation, federal lawmakers and regulators have been slow to engage with issues arising from new blockchain technologies. At a legislative level, only tentative steps have been taken to engage blockchain technology – generally in the form of legislative panels and study groups. Key U.S. regulators, including the CFTC, SEC and the Financial Industry Regulatory Authority ("FINRA"), recently have initiated dialogue with market participants and signaled a desire to encourage innovation. However, often anachronistic regulatory frameworks – adopted in a different technological era – substantially limit regulatory flexibility for blockchain innovators. At the same time, several U.S. states have undertaken various legislative initiatives with respect to targeted aspects or applications of blockchain technology. As a result, although there continues to be a strong U.S. FinTech sector, the United States has struggled to compete effectively with jurisdictions offering greater legal and regulatory coherence, certainty and flexibility. In addition, any use of blockchain technology must navigate a wide-spanning assortment of additional legal requirements in areas such as data protection, consumer protection, anti-money laundering and sanctions, as well as meeting general requirements for large companies and regulated entities to have adequate systems and processes to manage risk in their businesses. Legislation/Regulation: At the federal level, only tentative steps have been taken to engage directly in legislating blockchain technology, generally through requests for guidance and the formation of study groups (such as the Congressional Blockchain Caucus) dedicated to blockchain technology. To date, no specific legislative proposals principally addressing blockchain technology or its applications have been adopted. In contrast, over the past several years, state regulators have gradually established regulatory positions, at least in some targeted areas, with respect to blockchain technology. State-by-state regulation initially targeted money transmission licensing requirements (e.g., New York's "BitLicense," which covers a broad range of virtual currency activities). • Vermont now permits the use of blockchain technology to validate the "identity, participation and status in the formation, management, record keeping and governance of any person." Also, digital records registered in a blockchain are self-authenticating under the Vermont's evidentiary rules, if the records are accompanied by a sworn, written declaration. • Delaware allows any of a corporation's records, including its stock ledger, to be kept by means of "any information storage device, method, or one or more electronic networks or databases (including one or more distributed electronic networks or databases)," provided that the records can be converted into paper form in a reasonable period of time. • Arizona expressly permits signatures secured through blockchain technology to serve as valid electronic signatures and establishes smart contracts as legal, enforceable contracts under the state's law. • The OCC – the U.S. regulator responsible for chartering and supervising national banks and federal savings associations – has announced an initiative pursuant to which it would issue special purpose national bank charters to FinTech companies, which would preempt these companies from many state-level regulatory requirements. However, this initiative has been subject to legal challenges by state regulators. • The CFTC, which has been among the federal agencies most supportive of FinTech innovation, in July 2017 granted the first swap execution facility registration to an entity offering clearing services and a trading facility for options based on digital currency. • FINRA, which regulates U.S. brokers and dealers, published a discussion paper in January 2017 opening a dialogue with market participants and seeking comment on the implementation and regulation of applications employing blockchain technology. • The SEC – the U.S. securities regulator – issued in July 2017 an Investigative Report cautioning market participants in initial coin offerings ("ICOs") to carefully evaluate whether the offered digital assets constitute securities that are subject to the U.S. federal securities laws and encouraging consultation with the SEC in connection with the legal analysis of such offerings (see Jones Day commentary, "SEC's Investigative Report Raises Difficult Questions for ICO Issuers"). • In July 2017, the Uniform Law Commission approved a Uniform Regulation of Virtual Currency Business Act. The regulation seeks to harmonize state laws by setting out which virtual currency activities should be considered as money transmission and require licensing and includes provisions around reciprocity, consumer protection, cybersecurity, anti-money laundering and licensee supervision. It remains to be seen which states will adopt the model law and how much harmonization at the state level will occur as a result. Case Law: SEC v. REcoin Group Foundation, LLC et. al. : On September 29, 2017, the SEC charged the promoters of the REcoin and Diamond Reserve Club ICOs with defrauding investors, marking the first time the SEC has brought an enforcement action related to ICOs. In a suit filed in the U.S. District Court for the Eastern District of New York, the SEC alleged that the defendants illegally offered unregistered securities and made fraudulent misstatements that were designed to deceive investors in connection with the ICOs. Key Legal Issues: The key U.S. legal considerations will be the interaction and potential harmonization of disparate federal and statewide legal and regulatory frameworks. In addition, U.S. regulators have reiterated the full applicability of current regulations to applications of blockchain technologies, notwithstanding the fact that these regulations were enacted for a previous technological era and to address entirely different operational paradigms. Overview: The United Kingdom (and English law) is generally recognized as being a transparent, predictable and business-friendly jurisdiction for blockchain technologies, in particular giving effect to commercial parties' freedom to contract on terms that they consider appropriate. The common law approach to formation of contracts also gives a good level of flexibility to parties to enter into binding contracts using new technologies, without the need for further legislation or regulation. Both the UK government and the Financial Conduct Authority ("FCA") have been early adopters of digital strategies and are focused on encouraging innovation, including in relation to blockchain technologies. As a result, there is a thriving FinTech sector that has grown up in the United Kingdom in recent years. At the same time, the United Kingdom is a highly regulated market – particularly for financial services – and any use of blockchain technologies will have to navigate the United Kingdom's overarching legal requirements in areas such as data protection and consumer law as well as meeting general requirements for large companies and regulated entities to have adequate systems and processes to manage risk in their businesses. Legislation/Regulation: There is no specific legislation or regulation that has been passed in the United Kingdom for blockchain technologies, and none is expected imminently – largely due to the existing flexible, common law nature of English law that already can accommodate contracts conducted on the blockchain. The United Kingdom's financial regulator, the FCA, has run several initiatives involving blockchain technology, notably the introduction in May 2015 of a "regulatory sandbox" open to both regulated and unregulated firms to trial new technologies for financial services in a customized regulatory environment. The FCA published a discussion paper in April 2017 seeking views on the future development of blockchain technologies in regulated financial markets, noting that the FCA generally takes a "technology neutral" approach to regulating financial services and are interested in considering whether there is anything distinctive about blockchains that would require a different approach. The FCA also published a consumer warning regarding the risks of ICOs under which the FCA stated that “ICOs are very high-risk, speculative investments” and that evaluations regarding FCA regulation of ICOs are determined on a case by case basis. On September 13, 2017, it was announced that the FCA, in collaboration with consortium R3, Royal Bank of Scotland and a third unnamed bank, was developing a blockchain technology-based application for the mortgage industry to improve the supervision. The UK government has published several papers on use of blockchain technologies to supply public and government services and has trialed disbursement of student loans and welfare payments using the new technology. Case Law: No significant reported cases on blockchain technology. Various UK tax cases have acknowledged the findings in the Hedqvist case that exchange of a unit of virtual currency (such as a bitcoin) to a fiat currency is exempt from VAT as analogous to an FX transaction. Key Legal Issues: The general position under English law is that it should be possible to enter into binding agreements and execute those agreements via a blockchain as long as the usual requirements for a valid contract under English law are met – offer, acceptance, intention to create legal relations, certainty of terms and passing of consideration. English law and English courts also have a long history of accepting electronic and digital evidence as proof of ownership of tangible assets, so there are good arguments that physical assets that are tokenized and traded via a blockchain system can be upheld and enforced using the existing legal framework and historic case precedent. In relation to the key issue of whether an asset that exists only as a block of data in a blockchain would be recognized in English law as property, there are conflicting academic views and authorities (none of them in the context of blockchain assets). There is clear English law authority that information stored on a database is not property that is capable of possession and therefore can be subject to security or attachment. However, there also have been cases where assets that exist only electronically, such as carbon credits, have been judged to be "property" at common law, consistent with a long history of English case law that recognizes interests in intangible assets (the "chose in action"). While ultimately the English courts will have to address this specific issue, it seems more likely that the latter view will ultimately prevail, supporting the creation of transferrable assets via blockchain technology under English law. If so, English law has a wide range of common law and equitable remedies that can be used to assert title and recover assets in a disputed situation, including proprietary restitutionary claims and claims for unjust enrichment. To the extent that blockchain systems are used to deal in or with managed regulated products, particularly financial products, the United Kingdom's principles-based regulatory systems are expected to continue to apply to such products. The mere fact that a transaction in a regulated product takes place via a blockchain will not relieve parties from complying with their existing regulatory obligations. Overview: The focus within France on blockchain technologies has, so far, been within the financial sector. 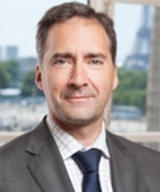 In particular, the French financial supervisory authorities have historically been very proactive regarding any evolution in the financial industry that would require adjustments in rules and regulations. Their approach is normally through regular consultation papers prior to the issue of any substantial new piece of legislation or guidelines and recommendations to clarify how practically to comply with certain rules. France has a long history of early implementation of technology within the financial sector, notably in having dematerialized all the holding of securities since 1984 and having computerized all this part of the back-office business, followed with electronic trading and settlement in the late 1980s. This culture has spread more recently into the FinTech world, with specific legislation tailored to crowd funding and new payment solutions. However, the Banque de France has shared its concerns with respect to cryptocurrency (such as bitcoin), the anonymity surrounding its use and the risk of value fluctuating in a very unpredictable way. Legislation/Regulation: France has adopted two pieces of legislation that explicitly refer to blockchain technology. • An ordinance dated April 28, 2016, set out the possibility for certain classes of commercial paper to be held and transferred via a blockchain, the characteristics of which will be detailed in an implementing decree (to be issued before the end of the year); see art. L. 233-12 of the Monetary and financial code. • Law n°2016-1691 of December 9, 2016 (art. 120) authorized the French government to determine, by an ordinance, the rules that could allow for the holding and transfer of nonlisted securities via a blockchain system. On that basis, the French Treasury launched a consultation process at the end of March 2017 to identify the laws and regulations that should be taken to enable such new digital securities to be held and transferred. Case Law: There is no particular case law that has involved any legal issue resulting from the use or implementation of blockchain technology. Key Legal Issues: Legal issues arising from the use of blockchain technologies depend on its use and purpose and whether it is confined to a contractual purpose (such as smart contracts) or if it interacts with regulatory issues. Smart contracts per se should not raise substantial legal issues since it is left to the parties to a contract to have the performance of their obligation be automatic (with no individual interference), as soon as the basics of creation and perfection of the contract are complied with. In respect of the use of distributed ledger technology ("DLT") in banking or financial business, issues may vary depending on whether its purpose is to implement a new way of storage of information (therefore with no particular regulatory impact), or whether the information contained in the DLT has a more substantial value (i.e., representing rights itself). France is used to handling dematerialized assets and therefore the conceptual gap with DLT applied to securities, transfer of assets, etc., will be managed. The challenges are rather on the regulatory side and the extent to which confidence may be built with the regulators on this rather complex technology based on trustless principles. Overview: Germany is very supportive of DLT and blockchain-based technology. In early 2017, the German government established a FinTech Advisory Committee (FinTechRat) to promote FinTech technology. The advisory committee consists of 20 members from banks and insurance companies, professors and government representatives. In Germany there is no specific DLT or blockchain-related legal framework. German law is generally agnostic as to the use of technology. Accordingly, there are no express restrictions on the use of DLT or blockchain. General principles of German law, such as contract law, apply. The German Financial Supervisory Authority (Bundesanstalt für Finanzdienstleistungsaufsicht or "BaFin") has set up a special task force cooperating with the industry to discuss and develop DLT-based technologies, in particular in the finance sector. For example, the German central bank, Deutsche Bundesbank, in cooperation with Deutsche Börse, developed a functional prototype for the blockchain-based settlement of securities. Legislation/Regulation: Germany does not have any special DLT or blockchain legislation. German law is generally agnostic as to the technology. Accordingly, there are no express restrictions on the use of DLT. Since its coming into force in 1900, the German Civil Code has embraced the technological revolution over the past 100-plus years without the need for substantial change (save for the addition of European law-driven consumer protection provisions), and therefore it is already proven to be flexible enough to provide a legal framework for blockchain-based products. From a regulatory perspective, there are no special rules relating to DLT or blockchain. BaFin takes the view that at the moment, DLT and blockchain technology do not require special treatment but are to be considered within the existing regulatory framework. Case Law: There is no specific case law relating to DLT or blockchain. In 2012, the German Federal Supreme Court held that, with regard to an air flight booking system, information entered into an electronic system needs to comply with general principles of contract. In that case, the entry of the phrase "unnamed" instead of the name of the flight passenger was considered not to be in line with certainty of contract and did not constitute a valid identification of a party to the flight contract, even though the system issued a corresponding flight ticket. Key Legal Issues: The key legal issues to consider depend on the function and role that DLT and blockchain play in a transaction. Even though DLT-based systems may operate as a "virtual reality," they remain connected to the real world. These real-world connections and the specific function or role that DLT plays for a certain transaction will govern the application of German law concepts like offer and acceptance, mistake, fraud, recession, damages for breach of contract and the principle of good faith and bonos mores to blockchain-based transactions. There are also some German law particularities, most notably with regard to the creation and transfer of assets, which should be borne in mind when thinking of creating or transferring assets on blockchain. While it may be relatively simple to transfer a claim on blockchain, this may be more difficult with regard to other types of assets. For example, under German law, the creation of securities requires a written signature of the issuer of the issued securities. It may therefore be difficult to create a blockchain-based security without any signed document, but it should be possible to arrange for a blockchain-based transfer of these securities after they have been validly created. Similarly, the transfer of certain assets, such as shares or real estate, is subject to form requirements, e.g., a notarization or a registration in a register (such as the land registry), which cannot be mirrored on the blockchain. From a regulatory point of view, it should be noted that certain activities relating to financial instruments constitute regulated activities. The definition of "financial instruments" is very broad and includes not only, for example, securities and derivatives but also "units of calculation" that operate similar to a currency but are not an official currency. The BaFin takes the view that bitcoins qualify as "units of calculation" (for exchange into money) and therefore as a financial instrument for regulatory purposes. As a consequence, while the use and the mining of bitcoins does not constitute a regulated activity, certain other activities, such as trading or market making in bitcoins may fall within the scope of a regulated activity. Therefore, when operating a DLT or blockchain-based system, the regulatory implications should be borne in mind. In addition to financial instruments, DLT or blockchain-based systems may also fall within the category of e-money or the provision of payment services, which may result in license requirements depending on the type of service provided. Overview: Chinese investors and consumers have shown intense interest in all forms of electronic payment systems. It is estimated that in 2016, Chinese consumers made 50 times more mobile payments than did U.S. consumers, for a total volume of US$5.5 trillion. As for blockchain transactions, China hosts the largest bitcoin exchange in the world (BTC China) and is the third-largest bitcoin market. Chinese authorities have taken a cautious approach toward blockchain transactions. Bank officials do not recognize blockchain payment methods as currencies, but they do recognize their utility as personal assets. Bank officials have indicated the likelihood of regulatory restrictions on blockchain transactions while also researching and discussing a state-banked blockchain currency. Legislation/Regulation: Chinese authorities were initially skeptical of blockchain-based payment methods. In December 2013, the People's Bank of China ("PBOC," China's central bank, banking regulatory authority and monetary policy institution) passed a series of regulations preventing Chinese banks from accepting and using bitcoin as a currency. The PBOC's directive indicated that these restrictions were needed to "protect the status of the renminbi as the statutory currency, prevent risks of money laundering and protect financial stability." The PBOC further indicated that bitcoin should not "be circulated or used in the marketplace as a currency." Since that time, Chinese bank officials have shown some ambivalence. On one hand, they have been supportive of the use and exchange of blockchain payment units by and between private individuals (while still not allowing these methods to function as currencies). In June 2017, for example, a PBOC official said in an interview that "Bitcoin does not have the fundamental attributes needed to be a currency as it is a string of code generated by complex algorithms[,] but I do not deny that virtual currencies have technical value and are a type of asset." On the other hand, bank officials have expressed strong concerns about unrestricted blockchain trading. In February 2017, PBOC indicated that it would shut bitcoin exchanges that did not comply with money laundering, foreign exchange management and payment and settlement rules, causing these exchanges to self-impose a moratorium on bitcoin withdrawals. Key Legal Issues: In September 2017, the PBOC announced a complete ban on ICOs declaring them illegal and requiring all ICOs to cease immediately. A joint statement from the Chinese authorities and the PBOC indicted that individuals and organizations involved in ICOs much refund investors for any amounts raised to date. The move is aimed at protecting investors and "dealing with the risks properly," according to the PBOC's statement. At the same time, all virtual currency trading platforms based in Beijing and Shanghai were required to cease operations. The PBOC has, however, previously announced plans to release its own blockchain-based currency. PBOC released a research paper in 2017 in which it predicted a digital currency that would allow consumers to carry out direct and paperless transfers to merchants as well as other individuals, so further developments remain possible. Overview: The use of blockchain and DLT in Hong Kong may be described as being in its infancy. The Hong Kong government has recognized the potential value of blockchain and has encouraged relevant organizations to explore its use. Legislation/Regulation: There is no specific legislation relating to DLT, and none is expected in the near future. In November 2016, the Hong Kong Applied Science and Technology Research Institute ("ASTRI") published a white paper on DLT and three areas where proof-of-concept for DLT applications should be carried out: mortgage loans, trade finance and digital identity management. A second white paper will be published in the second half of 2017, which will cover the regulatory implications of DLT and in the banking and payment industry. Depending on the contents of this second white paper, it may form a springboard from which more concrete initiatives will be adopted by the Hong Kong government. Separately, the Financial Services Development Council (established by the Hong Kong government in 2013 in response to the financial services industry's call for a high-level government advisory body to support the sustained development of the industry) also published a white paper in May 2017 that examined how Hong Kong can develop its blockchain capabilities to serve the region. The Hong Kong Monetary Authority (“HKMA”) announced the establishment of a regulatory sandbox on September 6, 2017 to facilitate the pilot trials of mobile payment services and blockchain businesses initiatives of authorized institutions before they are launched on a fuller scale. Simultaneously, the SFC announced the formation of a Fintech Advisory Group tasked with obtaining information on the latest trends of FinTech, collecting stakeholders' input, identifying the opportunities, risks and regulatory perimeter implications of FinTech and broadening the understanding of FinTech as an evolution of the financial services industry. In addition, the SFC announced a regulatory sandbox initiative to provide a confined regulatory environment for qualified firms to operate regulated activities before FinTech is used on a fuller scale. The Sandbox would enable qualified firms, through close dialogue with and supervision by the SFC, to readily identify and address any risks or concerns relevant to their regulated activities. On September 5, 2017, the SFC issued a statement regarding ICOs and the applicability of existing securities regulations, which expressed a facts and circumstances approach to whether digital tokens issued by ICOs are “securities” as defined in the Securities and Futures Ordinance. Case Law: There are no reported or current cases relating to DLT. Key Legal Issues: In Hong Kong, whether the use of DLT complies with current regulatory requirements is an area that remains unexplored or has received little in-depth investigation. To date, regulatory authorities in Hong Kong have issued little by way of regulatory guidance or control principles. It is unclear whether existing laws can adequately deal with the regulatory and legal issues associated with the decentralized and cross-border nature of DLT platforms. This issue could be highlighted by an increase in cross-border bitcoin activity following China’s September 15, 2017 request for bitcoin exchanges and trading platforms to shut down. Currently, ASTRI is planning to engage legal experts to take part in a further study to develop sound regulatory guidance and control principles. Overview: The legal system in Singapore is derived, in large part, from the English common law system and as a result bears a great deal of similarity to the English legal system, particularly in relation to contract and commercial law. Singapore, similar to the United Kingdom, is generally recognized as being a transparent, predictable and business-friendly jurisdiction for blockchain technologies, in particular giving effect to commercial parties' freedom to contract on terms that they consider appropriate. A study undertaken by the Lucerne University of Applied Sciences and Arts, comparing various cities across the world on the basis of their respective political and legal, economic, social and technological environments, identified Singapore as the city most suitably placed to develop into a FinTech hub. While the sheer number of startups engaging in the blockchain technology industry in other parts of Asia (such as Japan and South Korea) may be substantially larger than Singapore, the government in Singapore appears to be acutely aware and is taking a number of proactive measures to ensure that Singapore is considered to be a favorable jurisdiction for the development of the FinTech industry. The common law approach, adopted in Singapore, to the formation of contracts also gives a good level of flexibility to parties to enter into binding contracts using new technologies, without the need for further legislation or regulation. Similar to the United Kingdom, Singapore is also a regulated market for financial services – and any use of blockchain technologies will have to comply with Singapore's laws relating to data protection and consumer law. Legislation/Regulation: To date, Singapore has not passed any specific legislation or regulation in relation to blockchain technology. 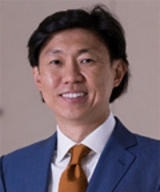 In 2016, the Monetary Authority of Singapore ("MAS"): (i) established a "regulatory sandbox" for FinTech startups to operate in a controlled environment; (ii) prescribed guidelines permitting technology companies to use "the cloud" to offer financial services; and (iii) opened its own innovation lab, called Looking Glass, to experiment with FinTech solutions, provide consultation to startups and provide training and facilities for the FinTech community. On March 9, 2017, MAS announced the completion of Phase I of an experimental project to conduct interbank payments using blockchain technology that it undertook in conjunction with R3, a blockchain technology company, as well as with a consortium of financial institutions including Bank of America Merrill Lynch, Credit Suisse, DBS Bank, The Hongkong and Shanghai Banking Corporation Limited, J.P. Morgan, Mitsubishi UFJ Financial Group, OCBC Bank, R3, Singapore Exchange, UOB Bank and BCS Information Systems (which acted as the technology provider to the project). The report "Project Ubin: SGD on Distributed Ledger" released by MAS addresses various issues relating to the usage of blockchain technology in settlement systems. On August 1, 2017, MAS clarified in an announcement that the offer or issue of digital tokens in Singapore will be regulated by MAS if "the digital tokens constitute products regulated under the Securities and Futures Act (Cap. 289) ("SFA") (see Jones Day Commentary, "Announcement Clarifies Regulatory Position on Digital Token Offerings in Singapore"). Soon thereafter, MAS and Commercial Affairs Department (“CAD”) issued an advisory letter entitled “Consumer Advisory on Investment Schemes Involving Digital Tokens,” which highlighted what MAS and CAD saw as inherent risks in investments into digital tokens and provided guidance as to what they considered to be a responsible approach for such investments. On October 2, 2017, the Deputy Prime Minister and Minister-in-charge of MAS reiterated that: (i) “if a token is structured in the form of securities, the ICO must comply with existing securities laws aimed at safeguarding investors’ interest”; (ii) money laundering and terrorism financing risks are prevalent when dealing with virtual currencies; and (iii) that public awareness of potential scams needs to be highlighted. Case Law: There are no reported cases on blockchain technology in Singapore. Key Legal Issues: The general position under Singapore law is that it should be possible to enter into binding agreements and execute those agreements via a blockchain as long as the usual requirements for a valid contract under Singapore law are met – offer, acceptance, intention to create legal relations, certainty of terms and passing of consideration. Singapore courts generally accept electronic and digital evidence of contracts pursuant to Singapore's Electronic Transactions Act. However, there is no indication (through case law or legislation) at present whether blockchains would be recognized as "property" and, if so, what type of property. There may be a possibility that blockchain technology could be considered to be a chose-in-action. Singapore's courts have cited with approval English case law that defines a "chose-in-action" as something "capable of being turned into money" or that "can only be claimed or enforced by action and not by taking physical possession." Given Singapore's proactive interest in developing the ecosystem of blockchain technologies, it seems likely that Singapore will ultimately support and recognize that assets that exist only electronically may also be considered to be "property." Overview: Japan is particularly active in cryptocurrency and blockchain technology, including actively investing and promoting blockchain platforms and solutions. In the banking sector, Japanese banks, supported by the Japanese Bankers Association, are engaged in development activities on a common blockchain platform with a view to standardizing blockchain solutions across all banking institutions and significantly lowering transaction costs. These activities include experiments with fund transfers using virtual currencies (as a model for convenient, low-cost and 24-hour fund transfer service). In addition, a number of Japanese megabanks, notably Mizuho Bank, have built a blockchain-based trade finance platform. In July 2017, for example, Mizuho Bank, Marubeni Corporation and Sompo Japan Nipponkoa Insurance completed a trade finance transaction between Australia and Japan using blockchain, utilizing a digital platform to complete all trade-related processes, ranging from the issuance of the letter of credit to delivering documents. Looking to leverage their substantial customer bases, Japanese banks also have begun testing operations internally with their own cryptocurrency (such as the MUFG coin of The Bank of Tokyo-Mitsubishi UFJ). Japan is one of the largest centers of bitcoin trading in the world. With the enactment of the Amended Payment Services Act (discussed below), Japan recognizes the use of bitcoin and other digital currencies as legal methods of payment and any bitcoin or alternative currency exchange business in Japan must register with the Financial Services Agency of Japan ("FSA") and be subject to strict customer verification requirements. The Japanese government also has been promoting blockchain technology and is considering the use of DLT in processing government tenders as a first step toward the use of blockchain technology in its digital services. In addition, the Japanese government is considering the use of blockchain technology to upgrade Japan's real estate registration system, so as to enable the relevant authorities more efficiently to collect and manage information on real estate transactions. Legislation/Regulation: Although there is no Japanese legislation or regulation specifically addressing blockchain technologies, there have been recent legislative developments that directly affect the use of blockchain technologies, including digital currencies, in Japan. •The Amended Banking Act was enacted in May 2017 and will come into force within a year. The Amended Banking Act, following the accelerating global FinTech movement, aims to protect consumers while establishing an institutional framework for promoting open innovation between financial institutions and FinTech businesses (innovation through collaboration and cooperation). Specifically, it requires the registration of electronic payment agencies (FinTech businesses) and requires financial institutions to make an effort to open access to their systems (through open APIs). •The Amended Payment Services Act was enacted in May 2016 and came into force on April 1, 2017. The Amended Payment Services Act introduces the registration requirement for operators of "virtual currency exchange businesses" (defined as businesses involving the exchange of virtual currency to legal currency or another virtual currency). Under the Amended Payment Services Act, "virtual currency" is defined as proprietary value not denominated in Japanese Yen or any foreign legal currency that, among unspecified persons, (i) can be used to settle payments for goods and/or services and exchanged with legal currency or (ii) can be exchanged with another virtual currency and that can be transferred using an electronic data processing system. In addition, in order to prevent money laundering and the financing of terrorism, a registered operator of a virtual currency exchange business will be required to implement certain identity verification procedures, among other steps. In addition, there has been a series of recent governmental and private initiatives relating to the use of blockchain technology in Japan. • In March 2017, the FSA announced the establishment of Co-operation Frameworks with each of the UK's Financial Conduct Authority and the Monetary Authority of Singapore to support innovative FinTech companies. • In March 2017, the FSA launched multilateral joint research on blockchains. • In June 2017, the Japanese government announced the Growth Strategy 2017. The Strategy provides that the FSA will take measures to facilitate demonstration tests on FinTech (FinTech Demonstration Test Hub). In doing so, the FSA and other regulators will take into account the need to eliminate hesitation and concern on the part of FinTech companies and financial institutions arising from risks related to compliance and supervision when they carry out unprecedented demonstration tests. • In March 2017, the Japanese Bankers Association published the Report of the Review Committee for the Possibility and the Challenges of Utilizing Blockchain Technology, addressing the potential use and challenges of blockchain technology in the banking sector and recommending a public-private sector joint initiative to address changes in banking operations resulting from the use of blockchain technology. • In November 2016, the Tokyo Stock Exchange, Inc., Osaka Exchange, Inc. and Japan Securities Clearing Corporation formed a consortium of Japanese financial institutions to conduct proof of concept testing based on past findings and discuss the possibility of applying blockchain or DLT to capital markets infrastructure from both the technical and operational perspectives. Case Law: There are no reported cases on blockchain technology in Japan. In the bankruptcy proceedings of Mt. Gox, a bitcoin exchange based in Japan, however, the Tokyo District Court ruled that bitcoins are not tangible assets and thus are not subject to the right of segregation (judgment by the Tokyo District Court on August 5, 2015). Key Legal Issues: The most notable recent legal and regulatory development relating to blockchain technologies in Japan is the regulation of "virtual currencies" and digital currency exchanges, recognizing the use of bitcoins and other digital currencies as legal methods of payment. As discussed above, all operators of digital currency exchanges must now register with the FSA as payment institutions and meet specified capital, cybersecurity, compliance and operational requirements and submit to annual audits. There are no special requirements under Japanese law to ensure that smart contracts are valid contracts. Except for certain types of agreements (such as an agreement providing a guarantee), Japanese law does not require any formality in entering into a binding agreement. Although there is no specific law or case law in Japan, it should be possible to enter into binding agreements via a blockchain as long as the usual requirements for a valid contract under Japanese law are met (such as a valid offer and acceptance, etc.). In a civil proceeding in Japan, in principle, there are no limits on the admissibility of evidence except for evidence collected illegally. Further, judges have the discretion freely to evaluate the evidence presented. Although there is no specific law or case law in Japan, records on a blockchain generally should be admissible evidence in a civil proceeding in Japan. Since July 1, 2017, the transfer of virtual currency (VC-cash exchange) is exempted from consumption tax (the Japanese value-added tax) in Japan. Overview: The Australian government has publicly stated an intention for Australia to be a leader in the development and use of blockchain and other distributed ledger technologies. It has been working with Data61, the digital and data innovation arm of the Commonwealth Scientific and Industrial Research Organisation ("CSIRO"), to deliver two reports on the regulatory, technical and social implications of blockchain technology in Australia. The first report, titled "Distributed Ledgers, Scenarios for the Australian economy over the coming decades," investigates possible uses of blockchain technology in Australia in 2030. The second report, titled "Risks and opportunities for systems using blockchain and smart contracts," examines how blockchain systems can more immediately support new markets and business models. Australia is also a leader in blockchain standards. In late 2016, the International Organisation for Standardization supported a proposal for Standards Australia, the peak standards organization in Australia, to develop new international standards on blockchain. This would be achieved by the establishment of a new technical committee, responsible for supporting innovation and competition by introducing these international standards. In September 2016, ISO announced that Australia would manage the Secretariat of the new technical committee (ISO/TC 307), which led to Australia hosting the first international blockchain standards meeting for ISO/TC 307 in April 2017. Standards Australia has also published its "Roadmap for Blockchain Standards" report, which is designed to identify technical issues associated with developing, governing and utilizing blockchain and distributed ledger technologies, identify blockchain and distributed ledger technologies use-cases relevant to Australia and prioritize the order of standards development activities that could be undertaken in the development of blockchain standards by ISO/TC 307. Although Australian regulators have, with some exceptions, been generally reluctant to make definitive or concrete rulings or assessments, the Australian financial services market is highly regulated and there is potential for the use of blockchain technologies by market participants to be subject to regulation by several different agencies. In addition, in January 2016, the Australian Stock Exchange ("ASX") engaged a U.S.-based firm to develop solutions for the Australian market using DLT. In particular, ASX intends to replace the system used for post-trade processing, clearing and settlement of equities, CHESS, with a post-trade platform that utilizes DLT to enable significantly faster settlement of equity transactions. Legislation/Regulation: There is no specific legislation in Australia related to the use of blockchain technologies. However, the Australian Securities and Investments Commission ("ASIC"), the federal body primarily responsible for regulating corporate and financial services businesses, has expressed a willingness to engage with stakeholders in regulating the use of the technology. Its position is that the current regulatory framework already requires financial services businesses to have appropriate technological resources and risk management systems, and that at this stage no further framework is required. 1. How will the blockchain be used? 2. What blockchain platform is being used? 3. How is the blockchain using data? 4. How is the blockchain run? 5. How does the blockchain work under law? 6. How does the blockchain affect others? • ASIC established an Innovation Hub in 2015 to assist financial technology startups navigate Australia's regulatory system by providing "informal guidance" to eligible businesses. • The Australian Transaction Reports and Analysis Centre ("AUSTRAC") has recommended both a high-level regulatory framework and a set of agreed rules that determine the operation of the algorithms encoded by the software for the use of blockchain. • AUSTRAC has also made it clear that financial institutions' obligations under Australia's anti-money laundering and counterterrorism financing legislation do not require the closure of bitcoin-linked accounts deemed to be high-risk, despite indications that some financial institutions have already done this in response to perceived regulatory pressures. • The Australian Taxation Office ("ATO") has released a guidance paper titled "Tax treatment of crypto-currencies in Australia," which provides the ATO's view that crypto-currencies such as bitcoin are neither a domestic nor a foreign currency and are instead assets and that transacting with bitcoin is "akin to a barter arrangement." • The Australian Competition and Consumer Commission ("ACCC") has been closely monitoring the acquisition of blockchain startups by banks, due to their disruptive nature to the industry, and it has also indicated that banks may need to seek ACCC permission before entering into agreements to cooperate with blockchain startups. Key Legal Issues: The key legal issue in Australia is the significant number of regulatory hurdles that financial technology and financial entities may be required to jump in order to develop and utilize blockchain or distributed ledger technology. The financial services industry in Australia is currently regulated by ASIC, the Reserve Bank of Australia, the ATO, the ACCC, the Office of the Australian Information Commissioner, AUSTRAC, the Digital Transformation Agency and the Australian Prudential Regulation Authority. Each of these bodies has the power to regulate the use of blockchain in Australia and although regulators have, with some exceptions, generally avoided making definitive statements or rulings, the extent of these powers is not yet clear should they adopt a more heavy-handed approach. In fact, ASIC's information sheet INFO 219 advises that these other regulators may also be interested in a business or proposal. Jones Day has been advising on the implementation of blockchain technology since 2015 across a range of sectors, including obtaining the first-ever effective SEC registration statement that contemplates a public offering utilizing blockchain technology, for Jones Day client T0. For further information, please contact your principal Firm representative or one of the lawyers listed below. General email messages may be sent using our "Contact Us" form, which can be found at http://www.jonesday.com/contactus/. Harriet Territt is a Partner Jones Day’s London office. She can be reached at hterritt@jonesday.com. Stephen J. Obie is a Partner Jones Day’s New York and Washington offices. He can be reached at sobie@jonesday.com. Chris Ahern is Partner-in-Charge at Jones Day’s Sydney office. He can be reached at cahern@jonesday.com. 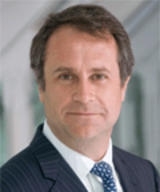 Philippe Goutay is a Partner at Jones Day. He is based in their Paris office. He can be reached at pgoutay@jonesday.com. 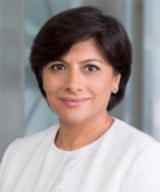 Sushma Jobanputra is the Partner-in-Charge at Jones Day’s Singapore office. She can be reached at sjobanputra@jonesday.com. Graham Lim is a Partner at Jones Day’s office in Hong Kong. He can be reached at glim@jonesday.com. 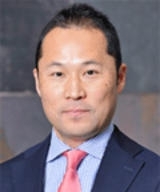 Hiromitsu Miyakawa is Partner-in-Charge at Jones Day’s Tokyo office. He can be reached at hmiyakawa@jonesday.com. 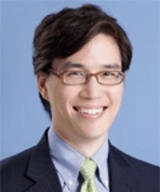 Peter J. Wang is Partner-in-Charge at Jones Day’s Shanghai and Beijing offices. He can be reached at pjwang@jonesday.com. 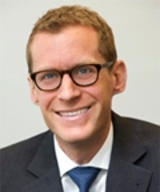 Nick Wittek is a Partner at Jones Day’s Frankfurt office. He can be reached at nwittek@jonesday.com. As SEC Takes Aim at ICO Market, Will Courts Turn to Receiverships? Jones Day’s Mark Rasmussen discusses the SEC’s first ICO enforcement action where a receiver was appointed. The technology promises to streamline business processes—but companies need to understand its potential risks, as well.